Hello to you in the article Grammarly vs Microsoft Word. Grammarly and Microsoft Word are two tools people think of comparing. Microsoft Word is designed for writing and printing documents where Grammarly is a writing assistant. How do these perform in the tests I’m going to conduct? 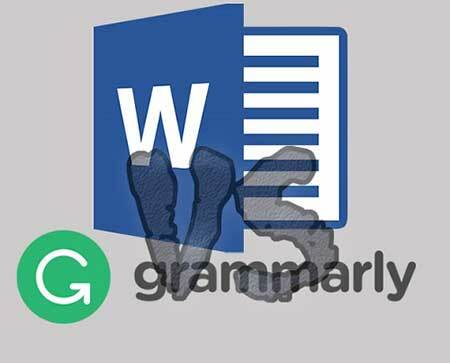 Let’s find out in the ultimate Grammarly vs Microsoft Word comparison. Spell and grammar check – Test 01. Spell and grammar check – Test 02. Before reviewing both, let us see the features and primary goals for both software. Microsoft Word is a software available on multiple platforms. The primary purpose of Microsoft Word is writing and printing the documents. On the other end, Grammarly is a unique tool made for checking spelling and grammar mistakes. Grammarly comes with an assistant in the premium version which can help you with punctuation, remove unnecessary words, fix passive words, grammar, spelling, punctuation, context, sentence structure in sentences and find synonyms for the words you type. Let us dive into the comparison of Grammarly vs Microsoft Word and see which one can perform better under certain circumstances. I took a piece of content and tested it in both the software. Both software showed corrected the grammar, but after fixing all the issues, the text was a little bit different. Below is the original text which I tested on both tools. Being a Youtuber I get lots of messages everyday, and I don’t have enough time to respond to each person becuase I’m busy learning how google works. on Youtube so that’s why I have hired an assistant who handles all these message and if he find anything important he sends the message in email with particular video URL. If you want I can ask the guy if he can work for you too in his free time but he is expensive and it can cost you a lot if you ask him to work on Sundays. Grammarly premium is a great tool, and because it is specially made for checking grammar and spelling mistakes, it could find and fix more issues than Word. Here is the list of fixes which Grammarly could solve. Here is the detailed comparison of both tools. Changed “on YouTube” to “On YouTube”, and also it added a comma after YouTube in the second line. It added a comma after “messages”. Grammarly changed “important” to “significant”. It added, “the” before email and “a” before particular video at the end of the paragraph. Here is the list of fixes which Word could solve but Grammarly. It changed “Youtube” to “YouTube”. It deleted “particular” before “video” because it was unnecessary. Although, there were some mistakes which both software could not find. In the first line “Youtuber” should be “YouTuber”. To clear the doubt, I put both on test again. In the second spell and grammar check in Grammarly vs Word, I selected a different topic. According to majority of people hard work is the key to success. People should not waste the time on social media like facebook or Instagram. I highly recommend to search on google to see the ways to be a successful person in this world. Ocean’s water is salty and a human need fresh water. Here are the results for the second test. It removed “the” before “time. Grammarly changed “facebook and instagram” to “Facebook and Instagram”. Changed “to search” to “searching on”. Grammarly added the comma before “and”. It added “s” to need. Microsoft Word changed “facebook and instagram” to “Facebook and Instagram”. In the second test, Microsoft Word could not find anything other than two mistakes which Grammarly also found. Winner: Regarding grammar, Grammarly is a winner. Grammarly is no doubt better than Microsoft Word and one of the favourite apps to check for grammar and spelling mistakes. Anyway, no software is perfect, but if you have both, then it is essential to check the grammar in both the tools. I have been using both for a while now, and here are some of the negatives about both. Grammarly has a lack of knowledge about checking for brand names. Microsoft Word forgets to suggest the comma most of the times. Over Grammarly can be harmful. For example, sometimes it keeps suggesting the verbs like software to “tool” then same “tool” to “machinery”, You can see we were talking about computer software, and in two clicks Grammarly changed the usage. Both are great tools, and both are famous for their abilities to check for grammatical mistakes and other tasks. Word is an app for office where Grammarly is a writing assistant. I hope the comparison removes any misunderstandings or any questions. What do you think about the comparison Grammarly vs Microsoft Word? Which one do you use and why? Help me improve the article by sharing your thoughts. Check out the video on Grammarly review if you want to know more about Grammarly.